Can Playing Games Help Students Master Concepts from General Psychology Classes? As part of a final project for a general psychology course, students were required to play a game, either digital/video or on a board. Students selected their own games, and were asked to identify psychological principles in their game play. Topics included the brain, sensation and perception, human development, learning, motivation, intelligence, personality, and mental disorders. Students successfully applied all topics to game play, but to varying degrees. Student discussions on the brain and intelligence were well covered. Discussions on personality and psychological disorders issues were relatively poor. Students were able to make connections between concepts and their game-play experiences. Playing games has been and continues to be a recommended way to learn. This idea aligns well with constructivism, or student-centered learning. Piaget, Vygotsky, and Montessori have all emphasized the role of play in learning and how it aids children and students with integrating new information into their knowledge base. This led to the question: would playing games in higher education also foster learning for students? Play has been linked with improved learning in student-centered pedagogy. Games encourage collaboration (Pivec & Pivec, 2011), which is linked with improved learning. Educational games, including card games based on Uno or Crazy Eights, that capitalize on play have been effective in helping students learn minerals (Spandler, 2016), and in encouraging collaboration. Having students watch a biology professor demonstrate a complex process by drinking fake urine fosters an emotional, personal connection for learning (Lujan & DiCarlo, 2016); afterward, students who saw the fake demonstration had better recall and understanding of the biological process than those who did not. 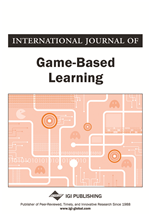 In general, playing games is associated with improved learning. In the college environment, games have proven to be useful learning tools. In a simulation game created specifically for a chemistry course, students built a battery and their processes were recorded (Hou, 2015). Students who were more involved in the activity showed greater reflection and problem-solving actions, and all demonstrated a positive focus even when the final product did not work. Similarly, in a SQL computer language college class, professors created a game for students to learn the language while interacting with non-player characters (NPCs) while tracking down a criminal mastermind (Soflano, Connolly, & Hainey, 2015). Several different methods of interaction with the NPCs were offered, including a picture-oriented option. Students gravitated toward the interaction style that helped them best learn the material and solve the game’s problem. Making games personally meaningful for these college courses improved measures of student success. Student success has also been linked with video games specifically made for educational purposes. One such educational video game that focused on the process of identifying viruses was used as a supplement in a course for medical laboratory students (Fleischmann & Ariel, 2016). Though some complained about the simplicity of the game, 90% of the students reported enjoyment, learning, and acquiring applied knowledge for virus recognition. Engineering students demonstrated project management learning with a video game that required them to work in teams on a construction project (Misfeldt, 2015). The game required students to create companies, identify their strengths and weaknesses, and address obstacles and challenges to completing construction. Student reported having fun playing the game while also providing real-world experiences, emphasizing the importance of collaboration, and being able to think strategically. A role-playing game meant to teach sustainability used with engineering students required them to help people and organizations create green buildings (Dib & Adamo-Villani, 2014). When compared to non-playing peers, those who participated showed high rates of declarative and procedural knowledge about sustainability. Acting individually, students participated in a role-playing game helping people and organizations create green buildings. In addition to faculty created games, educational games are also linked with improved learning for college students.